As a result of the ever-increasing demand on our carpark, Moonee Ponds Central is making changes to the Coles Carpark restriction hours. Please note; to improve convenience for our shoppers, the Coles Mall upper deck carpark will become a 2-hour restricted zone. For your convenience, there are 3-hour restricted parking bays available within both P1 and P2 levels under the Kmart Mall. Your feedback is important to us! Contact us via info@mooneepondscentral.com.au or phone 03 9695 9864 or text us via Kipsu on 0429 344 470. Q:What is happening with the carpark? A: Moonee Ponds Central is standardising and changing carpark hours within the Coles Mall by reducing the restricted hours in the upper carpark to a limit of two hours; in line with the ground level parking. A: Previously, the 3 hour parking restriction in the Coles Mall carpark has been utilised by workers in the area during Monday to Friday. Unfortunately this resulted in less available parking spaces for shoppers. Although Moonee Ponds Central supports sustainable travel alternatives and ride sharing; our priority remains to provide convenience to our shoppers as well as a comfortable and safe environment. Q: Who is monitoring the parking? A: Local council parking inspectors currently monitor Moonee Ponds carpark and will continue to do so. Q: What happens if I stay longer than two hours? A: Local council inspectors have the authority to issue infringements in accordance with legislation. Q: Can I move my car to different carpark throughout the day? 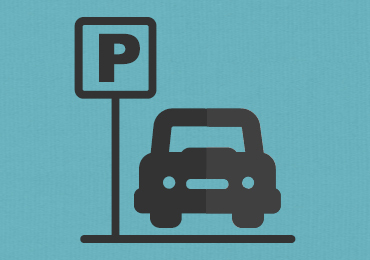 A: Cars cannot be moved from one spot to another within the Coles Mall carpark. Q: What are your suggested alternative commutes? A: The closest train station is the Moonee Ponds Train Station, which is located off Margaret Street and is 100 metres from the Centre. A tram and bus interchange is situated at the Moonee Ponds Junction, approximately 1-minute walk from the Centre. Q: Will paid parking be introduced? A: We have no immediate plans to introduce paid parking. We will continue to have time-limited parking which is monitored by Moonee Valley City Council. Q: Would you recommend any other places to park for all day? A: There is secure paid parking in numerous locations across the CBD. Q: Will retailers be impacted? A: Limited Retailer parking permits remain valid.